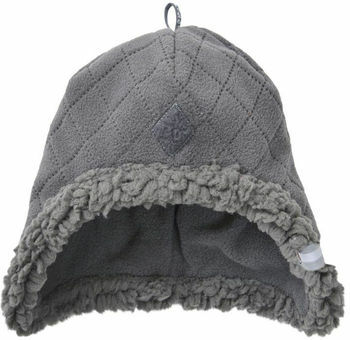 The Hatter is perfect to use when you take your baby outside on cold days in fall or winter. The winter hat keeps the head of your baby nice and warm. Due to the nice design with an elastic seam inside, the baby hat fits perfectly on your baby's head. In this way, the hats protects the neck and ears of your baby against the cold and wind. The comfortable fleece material is very soft and it keeps the head of your little one nice and warm. Use the handy loop on top to hang the hat on your coat rack. Available in many sizes and colours. The baby hat matches perfectly with our scarves, mittens and slippers.